This Book of Memories memorial website is designed to be a permanent tribute paying tribute to the life and memory of Joseph Emily. It allows family and friends a place to re-visit, interact with each other, share and enhance this tribute for future generations. We are both pleased and proud to provide the Book of Memories to the families of our community. Joseph Vernon "Bart" Emily of Mineral Point, Missouri was born on August 6, 1940 in Cadet, Missouri, a son to the late John Andrew Emily and the late Martha Ellen (Trokey) Emily. On August 8, 1959, Joseph was united in marriage to Vernon Louise DeClue and five children were born to this union. Joseph passed away on Thursday, November 29, 2018 at Mercy Hospital having reached the age of seventy-eight. 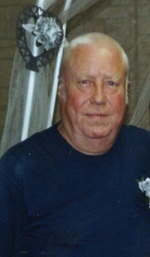 Survivors include his four children: Mark "Pete" (Jean) Emily, Cynthia Adams, Sandy (Reggie) Saunders and Steven Emily; three siblings: Frances "Bobbi" Martin, Don C. Emily and Darla Jean Sansoucie; eight grandchildren: Tiffine Jarvis, Mark Emily, Christina Adams, Joanna Adams, Donnie Adams, Timmy Henry, Jennifer Emily and Carly Saunders; also surviving are great grandchildren, nieces, nephews, relatives and friends. In addition to his parents, Joseph was preceded in death by his loving wife, Vernon Louise Emily; daughter, Cindy Sylvia Emily; three siblings: Raymond "Tar Baby" Emily, Suzy Nash and James "Jimmy" Dean Emily. The family will receive friends for a time of visitation on Sunday, December 2, 2018 from 10:30 a.m. until 2 p.m. at the DeClue Funeral Home. A Funeral Service will be held on Sunday, December 2, 2018 at 2 p.m. held in the DeClue Memorial Chapel with Bro. Robert Nash officiating. Interment and final prayers will be held at the Joseph Emily Cemetery, Mineral Point. Funeral arrangements were respectfully entrusted to the care and direction of the DeClue Funeral Home. To send flowers to the family of Joseph Vernon "Bart" Emily, please visit our Heartfelt Sympathies Store.